It’s no secret that I’ve become a huge fan of the soft-boiled egg. After failing at them for months and months I finally figured out how to nail them and have been sticking them on top of everything I can think of since then. This Ham Breakfast Bowl is my most recent creation that’s basically an excuse to throw an egg on something. 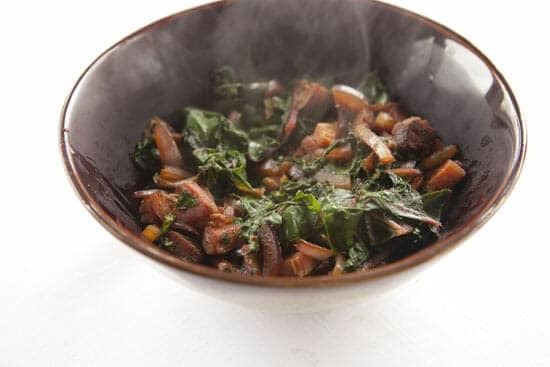 What I love about this dish though is just how much chard you can shove in the bowl. 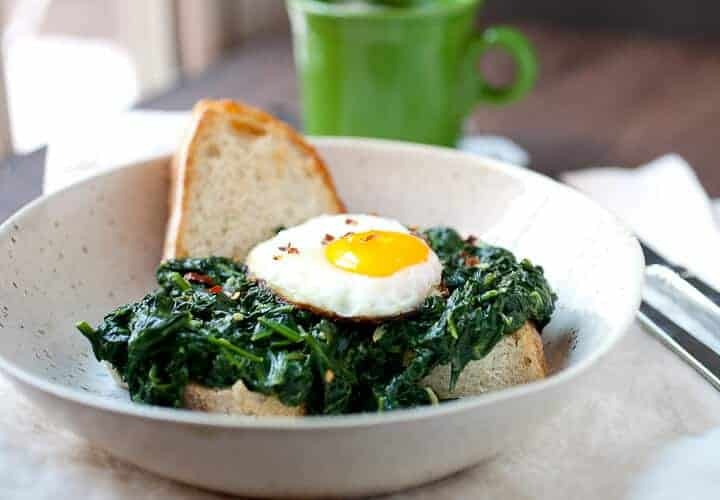 One huge bunch of chard is divided between two servings so you are getting a good dose of veggies to start the day. I could have this for breakfast or lunch and be full for the entire day. 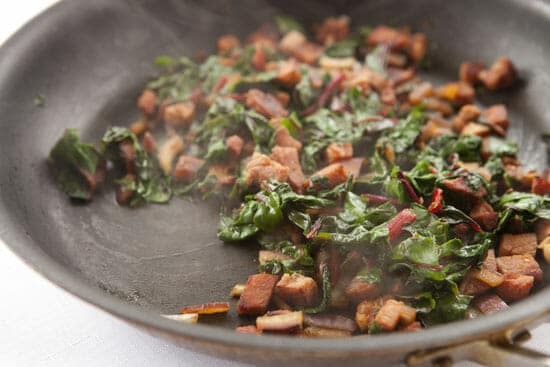 A quick and filling breakfast bowl made with lots of wilted chard and ham. Topped with a soft-boiled egg and avocado of course! 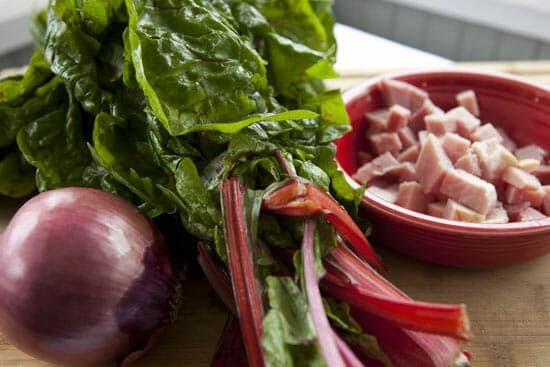 1) Dice ham and rinse and dice chard. Try to cut out any of the large ribs in the chard. 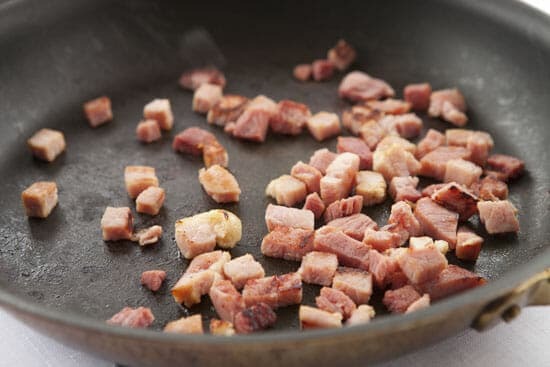 2) Add ham to a large skillet over medium heat with a small drizzle of olive oil. Cook until ham starts to brown slightly, about five minutes. 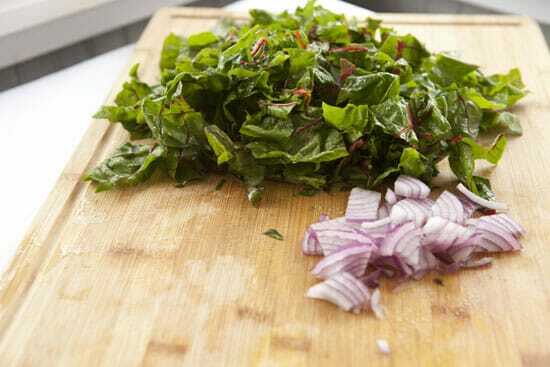 Add chard and sliced red onion and cook until chard starts to wilt, about another 2-3 minutes. 3) Season veggies with salt and pepper and divide between two large bowls. 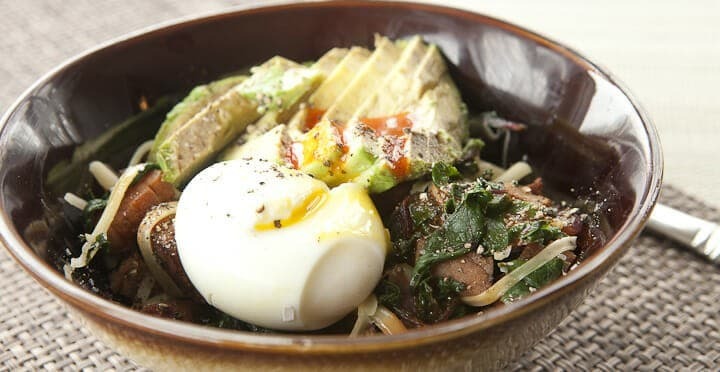 4) Top with avocado slices, an egg (poached, soft-boiled or over-easy), and a dash of hot sauce. There is really only a few ingredients in this Ham Breakfast Bowl. You could, of course, add other veggies, but I recommend going heavy on the greens. If you don’t have any swiss chard, you could use kale or just a metric ton of spinach. Just get it in there. This is the amount of chard I used for one serving. It’s about 3 cups of chopped chard. I cut off the very thick stems but left the thinner parts of the stem. They give some nice texture to the bowl. This is pretty straightforward to make. If you use a large skillet and start the heat on medium-low you don’t actually need to add any oil to the pan. The ham has plenty of fat and will do just fine without oil. If your ham is very lean or something though you might want to add a drizzle of oil. Either way, just cook the cubed ham until it’s browned a bit and starting to crisp. Then toss in the onions and chard. Assuming you rinsed your chard (you should rinse your chard), the water sticking to the chard will create some steam and wilt the veggies. After a few minutes of cooking you’ll be left with something like this! The egg is very important to this Ham Breakfast Bowl, but it’s not really important how you cook the egg. I soft-boiled mine, but you could also poach the egg or also just fry it over-easy. I made two eggs but accidentally cracked one while I was soft-boiling it. OOPS. This is my breakfast changing walkthrough on the perfect soft-boiled egg. When the eggs are done, just pile your bowl base into a large bowl. I somehow created the illusion that this bowl is floating in the ether for this photo. It is not. It is on a white tablecloth. Float on you crazy breakfast bowl. Then add on your egg and half an avocado, sliced up. Drizzle the whole thing with some hot sauce (optional) and a pinch of salt and pepper and dig in. 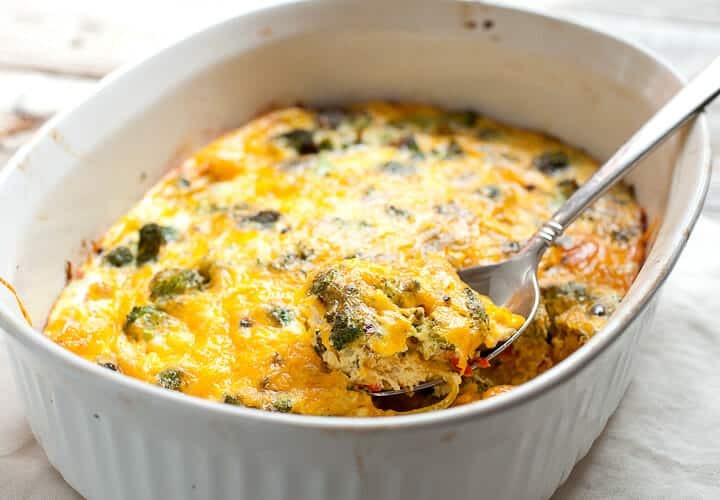 Nothing fancy about this, but a perfect spring breakfast in my opinion since you should start seeing lots of good spring greens in the stores. 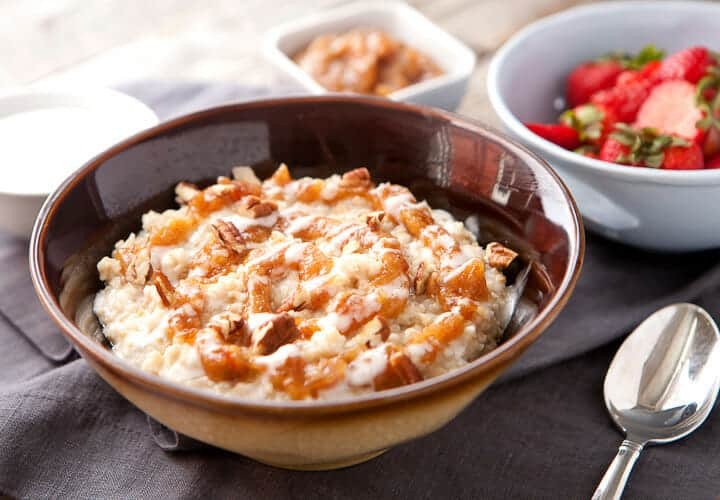 If you have any fun additions to this breakfast bowl, leave a comment! I have got to try some Swiss chard! This looks like a great reason to start. I have to comment on this one. This is exactly what I want to eat. It is all my favorites. Easy to cook and so good for you. I am cooking this tomorrow. You can’t get too much chard, because it cooks down so much. Love it. It would make a perfect “to go” breakfast meal in a lidded microwave container. 1. You won’t have to stop for that egg mcmuffin and coffee on your way to work! 2. Sounds like a meal that will get a working person through about 6 hours of work. When you get to work, your can either reheat it or refrigerate it and reheat it later. a:) You wipe a lot less crumbs off you chest and lap. b:) You don’t have your b*tt up in the air, reaching under your front seat trying to recover that chunk of egg that fell out of the muffin…, as your co-workers pass by and give you morning greetings! c:) Your not spending $1.50, and 25 minutes a week, vacuuming up the fast food you payed for out of your car. Nick – Thank you for this recipe! I’m on the Medifast weight loss program. I eat five of their meals and one “lean and green” meal I make myself. This program is low fat, low carb, and high protein. It’s been difficult coming up with my lean and green that isn’t a salad or a chunk of meat and a cuke. This is just perfect. Well, I do need the two eggs and the ham but it is the right amount and kind of green. I will be doing this tomorrow night for dinner. Thank you again. This is exactly what I had for dinner tonight, except that I scrambled some eggs into the chard/ham mix. How I wish I had thought of doing soft boiled on top! Luckily, we have a surfeit of chard, so I’ll be able to try it out soon! 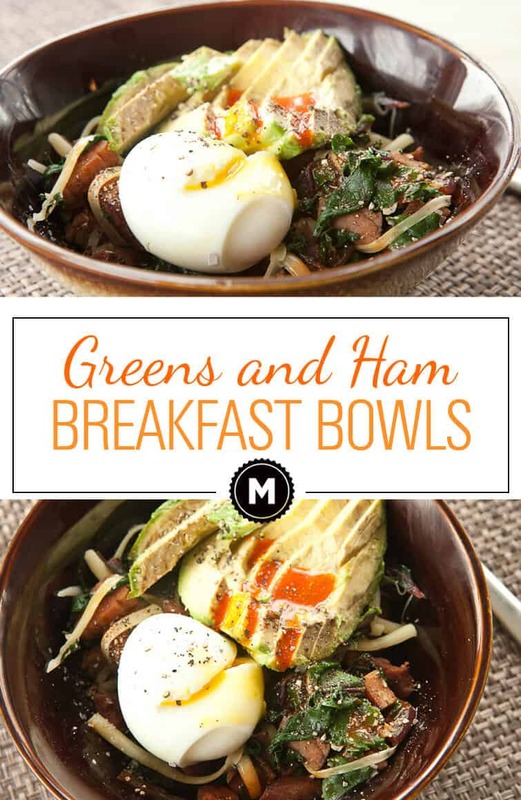 I definitely read this as greens eggs and ham and was pleased at the Dr Seuss reference. Alas it was only my brain wanting to read that. This recipe looks amazing. Now I need to find me some chard! And Paleo! I’m totally making this next week. And okay I’ll wash my swiss chard. Your eggs are cracking because you are putting them in hot water. Put cold eggs, straight from the fridge, into a pot of cold water. Turn the pot on high. When the water has boiled, take the pot immediately off the heat. 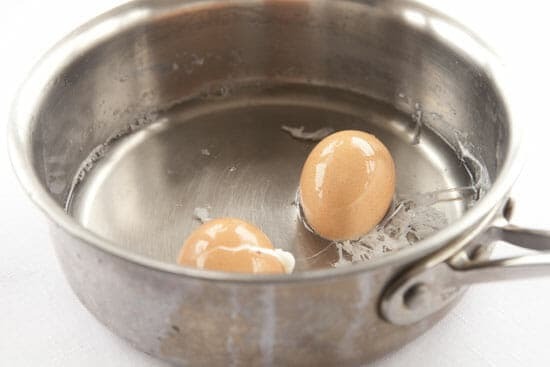 Leave the cover on the pot, and let the eggs sit for five minutes. Beautiful, crack-free soft boiled eggs. I generally don’t post calorie amounts in my recipes. I try to just focus on eating whole foods and cooking good meals. If you want to calculate the nutritional content though, you can use a site like Spark Recipes to do so (http://recipes.sparkpeople.com/recipe-calculator.asp) Good luck! I worked it out on MyFitnessPal and it came to 356 calories with lots of protein and healthy fats! No, the HAM is 350 calories. The avocado is another 230, the eggs 150 more and the oil 40. The total is 770 calories. Hal that’s for the full recipe. A single serving is half of that, approx 350-400 calories. Chard is known as Silverbeet here in New Zealand. Just sayin’. I can’t wait to try this tonight after crossfit!! Hey that look absolutely FABULOUS, I am on may way to the store now to get the ingredients, will respond back when I make it but it looks good, thanks for the recipe. Great Kate! Glad you liked it! Thanks for the comment! Delicious!! Just made it and I LOVED it. Softboiled egg totally worked, which is great because I love them but have NEVER successfully made them. Consider yourself saved in my tabs! Used sriracha rather than hot sauce and added a touch of ginger to add another dimension and personally I enjoyed it. Awesome Vicky. Love the ginger addition. :) Glad you liked it! I’m a die-hard for crunchy and sweet. Think I’ll add a tablespoon of sunflower seeds and a sprinkle of raisins. I had this meal today & it was amazing! Looking at it, it didn’t seem like it was much, but once I put everything together (including the eggs) it came out so delicious! I will definitely make this dish again. Thank you!! Hey Claudia! So glad you liked it. Thanks for the comment! Amazing Nick! I just did a version of this with what I had on hand. My eggs were not runny, closer to hard, but at least the yolk was still moist! Very tasty & a quick healthy meal to put together. I think I would like to add some nuts/seeds for crunch & texture… maybe even a dukkah? This recipe is amazing. Tastes so good. And healthy. Thank you. I made this using pancetta (I couldn’t find cubed ham) with a serious drizzle of sriracha sauce on top. Amazing! I cut the avocado in half (1/4 avo per serving) the second time I made it, as I found it was a bit too rich between the avo, pancetta, and egg yolk. One of my new breakfast go-to’s. Awesome Lisa. Nice change ups on it! Really glad you liked it and thanks for the comment! I make a similar breakfast, just don’t add ham, will definitely add it in future. But I cook my eggs on the swish chard in the pan and it turn out divine. I flip it once carefully to make sure my egg does not break just to make sure the top is also cooked. I also like my eggs running, the running yoke becomes the sauce. I add a finely grated mozzarella after taking it out of the pan. Avo is expensive in South Africa and scare at the moment, but also a great addition, love it. What a stunning bowl! I would also try poaching the eggs because I always tend to hard boil eggs–which I hate! :P Great recipe!